Known for nightlife and trendy stores and restaurants, West Hollywood is a high-energy and highly desirable place to live in Southern California. With Beverly Hills and the Fairfax District nearby, West Hollywood is a busy and fun place to live. Because of the high-density population and small space for development, HOA and multiple-family housing is the main choice for living. With HOA developments, roofing can be a major concern because there are different standards and processes when it comes to HOA properties. Unlike single owned homes, decisions are made through a board and not by the individual owners. Roofing contractors need to work professionally with an assortment of people to get the job done right. West Hollywood has always had an image to live up to, so HOA housing and roofing needs to meet city expectations in terms of trend and lifestyle. You need to hire a reputable, experienced and professional contractor to ensure your roof is the best. There are several important factors to consider when choosing a roofing contractor for your HOA property. Experience and reputation: A reliable contractor will have years of experience, have been in the industry for a long time, and have knowledge of multiple roofing materials and styles. More importantly, they will have experience working on property management projects. This is important because they need to work with contractors and multi-state real estate developers. There are challenges that can come with HOA roofing projects, so be sure you hire a contractor that has experience in handling the issues. Licensing: Hire a company that is fully licensed and insured. You need this to prevent the risk of unnecessary costs and/or substandard work. Reliable contractors will provide this information and paperwork for you upon request and will also exhibit a strong professional work ethic. Confirm with them that they can offer effective and prompt solutions to all your HOA concerns before signing anything. Additional services: Check with your contractor as to what other services they provide outside of standard installation and repair. The best company to choose will be dynamic and provide additional services like regular maintenance, inspections, and follow-ups as well as quality customer service. We want to develop a long-term business relationship with you, so can deliver all of this and much more. 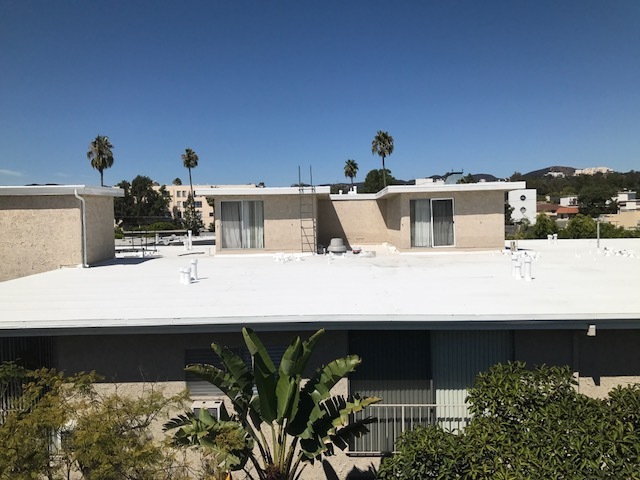 Contact us today for any of your HOA roofing needs in West Hollywood.